An emaciated survivor in Vaihingen. Following the liberation of the concentration camps in 1945, Holocaust survivors set forth on their newest journey -- the quest for a new life, home, and family. Often they suppressed the trauma they sustained during the Holocaust, pushing it to the backs of their minds, distancing themselves from the terror and the grief to embrace their new lives. Despite their best efforts to “move on,” however, for many this shroud of wellness eventually gave way to a host of emotional and psychological difficulties. Their inability to mourn or to acknowledge their own suffering led them to exhibit a variety of symptoms. Over time, psychiatrists began to identify and to study these symptoms, grouping them under such names as “survivor syndrome,” “concentration camp syndrome,” and “post-traumatic stress disorder.” The trauma of the Holocaust, quite obviously, did not end at liberation. The following bibliography was compiled to guide readers to materials on psychological trauma and the Holocaust that are in the Library’s collection. It is not meant to be exhaustive. Annotations are provided to help the user determine the item’s focus, and call numbers for the Museum’s Library are given in parentheses following each citation. Those unable to visit might be able to find these works in a nearby public library or acquire them through interlibrary loan. Follow the “Find in a library near you” link in each citation and enter your zip code at the Open WorldCat search screen. The results of that search indicate all libraries in your area that own that particular title. Talk to your local librarian for assistance. Centers around the author’s experiences surviving a Nazi concentration camp and relates those experiences to survival in the civilized world. Investigates human survival as seen in Nazi and Soviet camps. Uses only survivor testimony in order to assess common circumstances and coping strategies. Details the unique factors that play a part in written accounts of traumatic events, particularly Holocaust testimonies. Combines psychoanalytical, ethical, and hermeneutic viewpoints in an effort to come to terms with trauma as a significant factor in historical inquiry and understanding. Includes extensive footnotes and an index. Contains a general survey of the topic and three supporting articles: Survivors of Ghettos and Camps, Survivors in Israel, and Children of Survivors. Offers an overview of the primary concerns regarding the psychological aspects of the Holocaust. A compilation of twenty-four articles and essays written by a child psychologist and Holocaust survivor about spiritual and emotional survival. Focuses on the Holocaust and its effects on individuals. Contains scholarly essays produced from a conference held in 1987 at the City University of New York. Addresses various psychological concerns, including a debate over “survivor syndrome,” alternative therapies for survivors, and psychological effects on the children of survivors. Includes extensive bibliographies. Amasses the author’s collection of clinical observations of Holocaust survivors. Points out significant correlations between camp survival techniques and post-camp lifestyles. Examines the psychological implications of the Holocaust through a variety of perspectives. Focuses on available clinical research into the psychological imprint left by extreme emotional stress. Includes rare scholarly attention to the psychology of the perpetrator. A yearly bulletin providing a scholarly platform for the discussion of psychological issues associated with Holocaust trauma and recovery. Covers survivors, their children, and their grandchildren. A large bibliography of articles, books, theses, and conference proceedings dealing with the topic of psychiatry and the Holocaust. Divided into two major sections, one capturing more than 2400 multi-lingual citations, the other annotating selected titles the editors considered important in the field. Explores the resilience of the human spirit, body, and memory. Uses interviews with survivors to study the clinical relationship between descriptions of depression and the presence of spiritual resistance. Highlights the struggle of survivors to move past their experience without denying the need to remember and mourn. Highlights children of Survivors, grandchildren of Survivors, as well as different views of trauma as seen in Israel, Germany, and Austria. Includes a bibliography and an index. Focuses on the study of child survivors of the Holocaust. Analyzes the role of genocidal persecution in shaping the child’s psychological development and adult world structure. An early consolidation of Holocaust survivor psychiatric studies as presented in workshops at Wayne State University. Highlights the correlation between survivor guilt and ongoing depression. A collection of clinical essays contributed by members of the psychoanalytic community but geared toward the general public. Assesses the application of Freudian psychoanalysis to assist in the understanding of Holocaust survivors’ reactions. Includes a glossary of clinical terms used in the book. Details patients’ accounts of the Holocaust and the psychological implications of the events. Contains four sections: Background, Survivors’ Children, Persecutors’ Children, and Theoretical and Clinical Aspects. Reprint of the 1982 work of the Group for Psychoanalytic Study of the Effect of the Holocaust on the Second Generation. Includes an updated bibliography. Profiles the children of survivors, revealing their thoughts on dealing with their parents’ past. Shows how the parents tried to protect their children from their past, but find themselves passing the delayed mourning to their children. Includes interviews with the children, parents, and psychiatrists. Narrates the experiences of children of survivors who have struggled with their parents’ history. Examines the role of the parents’ unresolved grief in molding their children’s personality and psychological health. 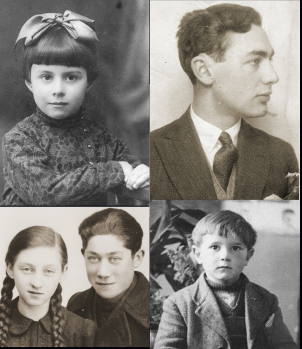 Offers poetry, conversations, and essays written by children of Holocaust survivors reflecting on how their parents’ experiences affected them. Also tackles the idea of the inclusion of children of survivors into the collective identity of Holocaust survivors. Contains some bibliographic references and notes on the contributors. Examines second generation parent-child relationships, the lingering psychological trauma and emotions found in narratives, as well as the second generation’s attempts to correct perceived shortcomings. Includes appendix of research findings, references, and an index. 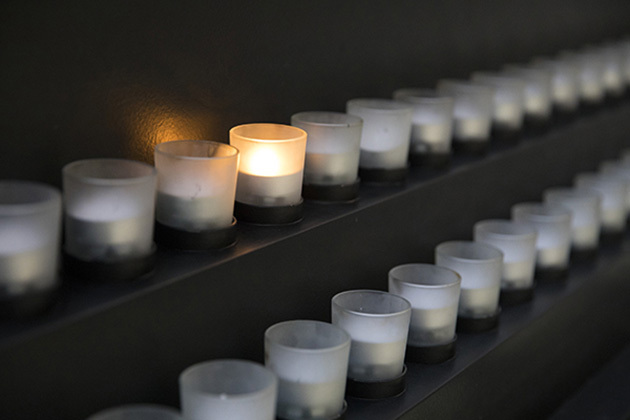 Highlights information about social activities, support groups, psychotherapy, and related opportunities for survivors and their families to confront the psychological scarring caused by the Holocaust. Provides a unique assortment of resources, including a collection of links to trauma resources online, information regarding post-traumatic stress disorder (PTSD), and a directory of support groups and professional centers around the world. Named after the code word that helped survivors identify fellow Jews in war-ravaged Europe. Ask at the reference desk to see the subject file labeled “Holocaust survivors - Mental health” containing newspaper and periodical articles.